As Theus learns more about the world beyond his family's farm, learning to handle weapons and combatting the turbulent world around him, he discovers that the beautiful daughter of a high noble family, Coriae, is far beyond a commoner's reach - but he can dream. Evil powers brewing in far-off places are spreading chaos across the world, and Theus becomes snared in troubles that seem to have nothing to do with him, until he finds that he has fallen into the center of the evil.Desperate to escape, Theus struggles to overcome the battles he's faced with. He almost seems to be back on track towards the success he has envisioned for himself. But evil is not ready to let him go so easily. 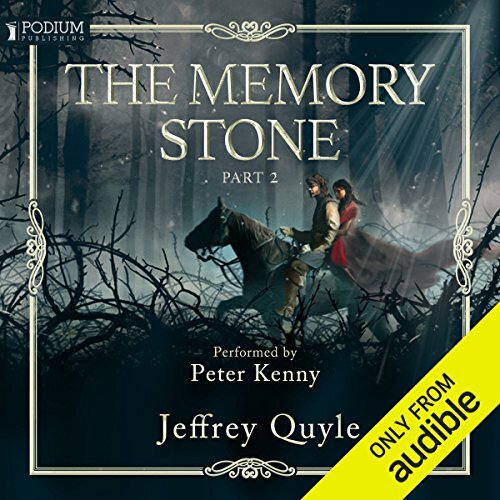 Theus's journey continues in The Memory Stone, Part II. Within the past year of his life, Theus has seen freedom and slavery, affection and spite, wealth and poverty - now, his adventures are about to grow more consequential and intense as the gods of the land begin to rely on him personally and exclusively to travel from conflict to conflict, as they try to use him to tamp down the outbreak of evil and violence that is threatening every human in the lands ruled by Stoke.